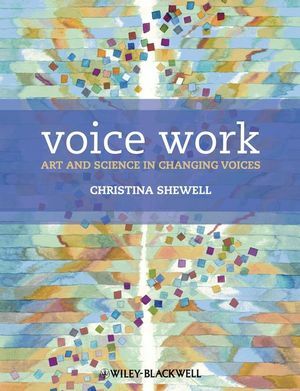 Voice Work: Art and Science in Changing Voices is a key work that addresses the theoretical and experiential aspects common to the practical vocal work of the three major voice practitioner professions - voice training, singing teaching, and speech and language pathology. The first half of the book describes the nature of voice work along the normal-abnormal voice continuum, reviews ways in which the mechanism and function of the voice can be explored, and introduces the reader to an original model of voice assessment, suitable for all voice practitioners. The second half describes the theory behind core aspects of voice and provides an extensive range of related practical voice work ideas. Throughout the book, there are a number of case studies drawn from the author's own experiences and a companion website, providing audio clips to illustrate aspects of the text, can be found at www.wiley.com/go/shewell. Christina Shewell is as a qualified theatre voice teacher and a registered speech and language therapist specialising in the voice problems of professional voice users, with a particular focus on singers and actors. She was formerly a senior lecturer in voice and counselling skills at University College London.